Mix water, soy sauce, lemon juice, garlic, sugar, salt and pepper. Taste test for desired salt sour sweetness taste. Marinade for 20-30 minutes in the fridge. 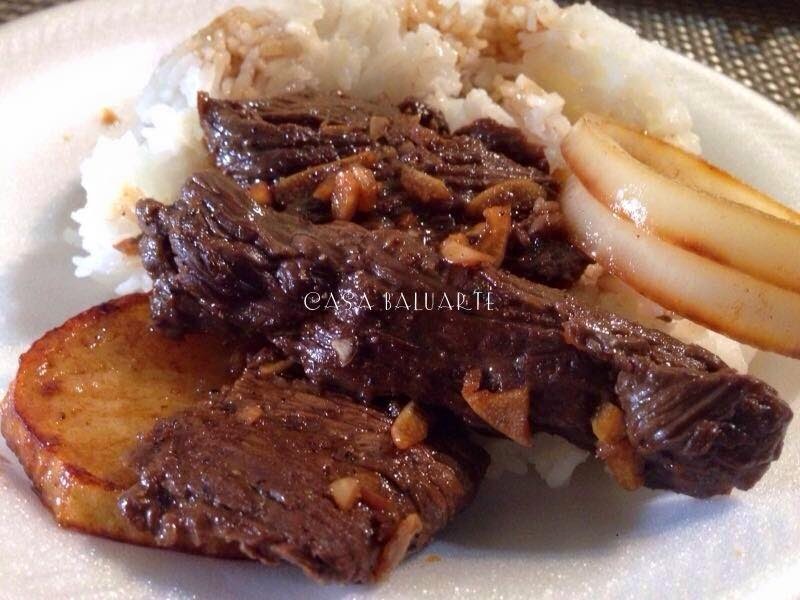 Remove beef from the marinade and drain remaining juice. Make sure to set aside the remaining marinade. Heat pan and add cooking oil. Fry potatoes and onions till golden brown and set aside. Using the same cooking oil fry beef till golden brown, remove from the pan and set aside. Using the same pan pour remaining marinade and simmer for few minutes. Once the sauce starts to thicken add the browned beef to the pan and continue to simmer for few more minutes. 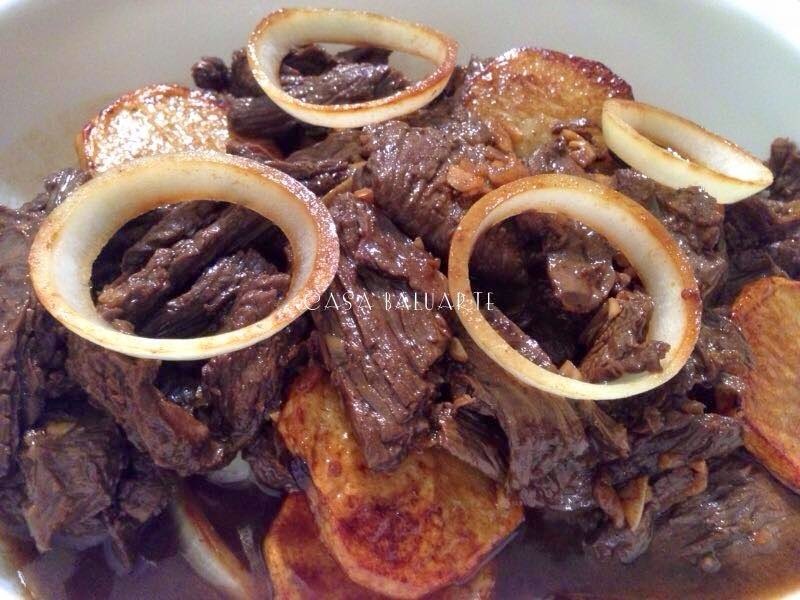 Top with fried potatoes and onions. Remove from heat and serve.